This is sure to delight the ladies. 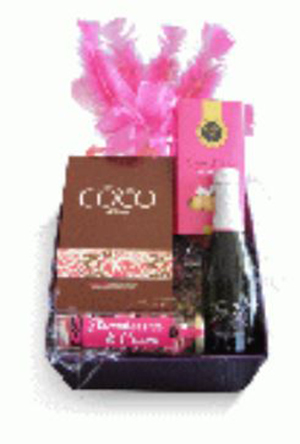 Contains Jewel Picollo, Gourmet Chocolates, Sugar & Spice Biscuits and Strawberries & Cream Rock Candy. Note, hamper no longer comes with feathers, but is beautifully presented on a ‘sea of straw’ base.